SACRAMENTO - Ethel Elnora Doss, 93, of Sacramento, died Thursday, February 25, 2016, at 12:20PM at her son's home in Sacramento. Mrs. Doss was born February 19, 1923, in Enterprise, Indiana. She was a security guard at York in Madisonville, and also worked as manager of the produce department at Wetzel's Supermarket in Owensboro. She was of the Pentecostal faith. In 1940, she married Ralph L. Doss, a decorated and wounded World War II veteran. They raised their family in Lafayette, Indiana, where they were co-owners of several businesses, including a local grocery store, a used car lot, and a service station. Mrs. Doss also worked as an employee for two other companies in Lafayette, including Kmart and Essex Wire. 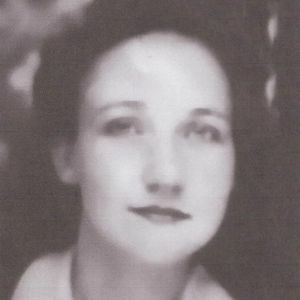 She was preceded in death by her husband, Ralph L. Doss, who died at their home in Sacramento in 2010; her sons, Ralph L. Doss, Jr. of Sacramento and Steven R. Doss of Lafayette, IN; her parents, Walter and Golda Carver of Owensboro; and three sisters and her brother, all of Owensboro. She is survived by her children, Dennis A. Doss of Sacramento, Melvin R. Doss of Cadiz, and Carolyn Sue Doss of Lafayette, IN; ten grandchildren; 22 great-grandchildren; eight great-great-grandchildren; and her sister-in-law, Mildred Sue DesEnfants of Scottsdale, AZ. Funeral services will be private. Tucker Funeral Home is in charge of arrangements. Online condolences may be made at www.tuckerfuneralhomes.com. I just found out of her passing. I Just wanted to say I.m thinking of you and saying a prayer for you and your family. Losing a mother is very hard. May God comfort and bless you. Alisa Pierce Witherspoon (Ruby Pierce's) daughter. Dennis, I am so sorry for your loss. While I didn't know your Mom long, she seemed a feisty and determined woman. I know you and your family will miss her dearly! So glad I got to meet her and take care of her! I thank you for that privilege. Please let me know if there is anything I can do for you and your family! Melvin and family, So sorry to see the news of your loss. You are in our thoughts and prayers. Memory eternal. So sorry to hear about your grandma. I know she was very special to both of you, and both of you to her. My condolences to you and your family. Denny~ my sympathy to you and your family over the death of your mother. Am here for you if you need a person to talk to. My sympathy to the Doss family. My family lived across the street from Ralph and Ethel in Lafayette. They were good people. I really enjoyed talking to Ethel as she was kind and very funny. I have thought of her often in the years past. May God Bless her soul. Mom, Looking into your eyes last week and hearing you say "Hi Ma" is a treasure my heart will always keep. I love you so much mom. The only good thing to come out of your passing is that your pain and sorrow of loneliness since dad passed is at and end. You can now rest awhile before you get dad his coffee. Denny, Sue and I now have to learn to live life without you. You gave us life, fed us, washed our little bottoms, kept us safe and warm. We traveled though life like those times would never end. We seldom took the time to thank you for being our mother and for teaching us right from wrong. Most times you were gentle but when need be, you could be a "bear" when it came time to teach us the right road of life we should be on and the ones we shouldn't take. If we didn't learn, it was our fault because you taught us well. I'm hoping with the passing of time, the hurt of your passing will ease. Everyone says it will. For me, each day will bring a new memory. Each day will bring a silent tear. Each day will bring a new prayer that some day all of us will be together again. If you, dad, Jr. and Steve will wait or walk slow, Denny Sue and I will be along soon. I miss you mom! I love you dearly!